I created a wall with an angled ceiling by making two walls,but when I want to look at the elevation view I cannot bring up both walls together.Is there a way to do this? I was playing around with putting a fireplace picture in doors and windows,it comes up full view in the window and 1 1/2 in the door view.Is there something that needs to be done to either the picture or doorway to get a full picture? Thanks for the info, just wondering as well,I have the first manual on ecab is it worth it to get the newest manual? I have searched and found nothing,is it possible to export a 3D drawing out of Ecabs into another modeling program? I have someone that wants to take the rendering to a realistic view. 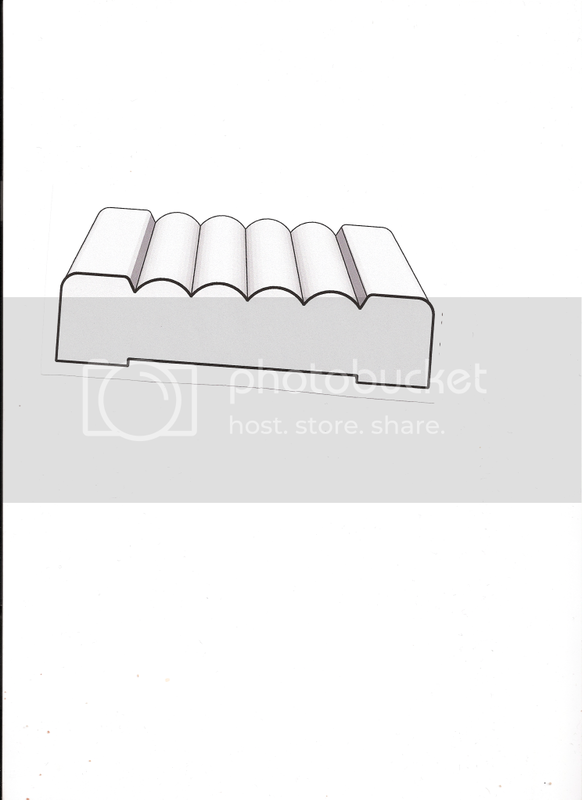 I guess my question also ties in with if I cannot a custom moulding profile right to the end of a board and you cannot cut across the profiled lines in geometric shapes, how do you put your own mouldings like crown, on your drawings with the profile lines having no continuity? Heres the link to the zip file as you requested. Now I am really confused I can access x_t files but no tol files bear with me. Can someone enlighten me, I managed to do the moulding as shown but in order for it to work I had to start the profile 1/16 in from the edge.Is there a reason II cannot run the profile through as you would with a shaper or router? Here is the profile I am trying to produce. I am trying to make some beaded columns following the video 7-04e except I want to run the profile to the edge.It won't allow it,come back "cannot apply the selected changes:the resulting part would have a non-manifold body".Would I need to shift my lines a hair off the edge to make it work? Bear with me as I am still learning is there a video I can watch? I tried cutting a part in Part Editor by drawing a line across it and trimming off the lines I don't need, its not working am I doing the wrong steps? This is a piece of separate TK base that goes below an angled cabinet.